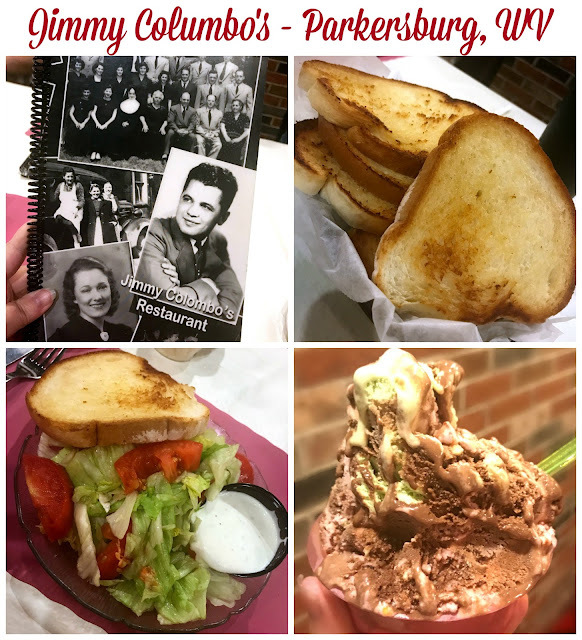 Road Trip to Parkersburg, WV | The Food Hussy! 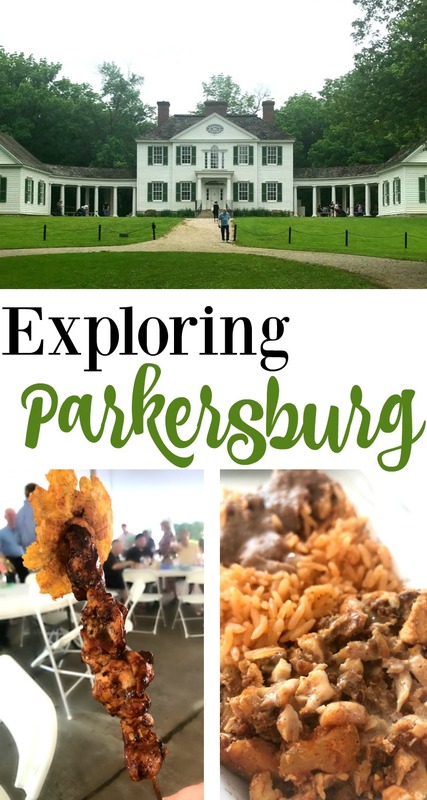 Earlier this spring my friend Tonya from Travel Inspired Living invited me and some blogger friends to Parkersburgh, West Virginia for a weekend of food, history and exploration. It's a beautifully historic area and it was fun to go somewhere new. My only experience in West Virginia was a quick shopping trip to a mall years ago. 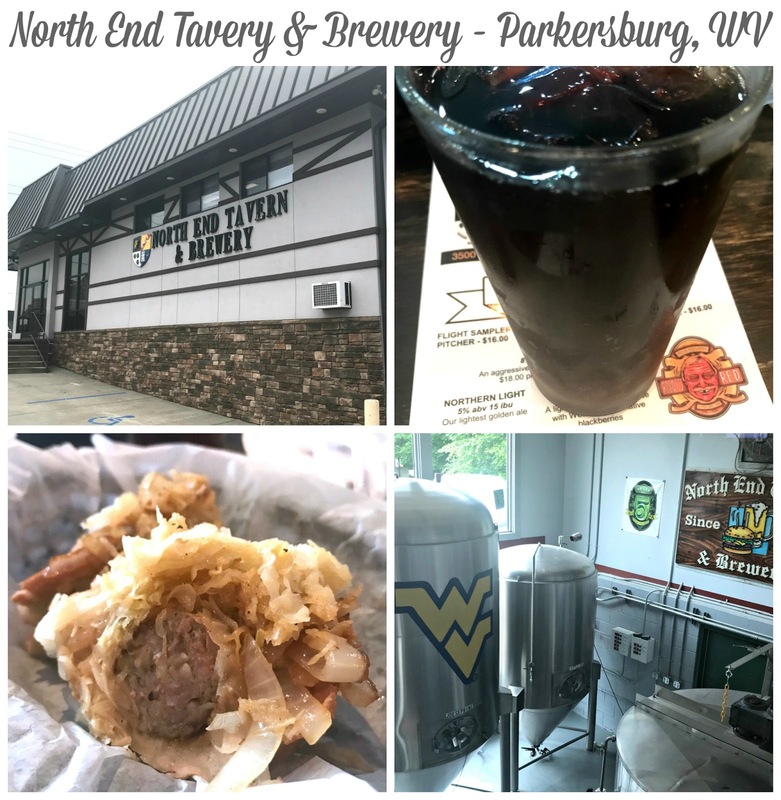 In addition to the historical side of Parkersburg, we also ate our way through town. I did have a partner in crime for the weekend - my new friend Phoebe of Milk with No Sugar. She's a Londoner that is now a Cincinnatian! We had a blast as I tried to perfect her accent over the weekend. She is also the creator of these Vegan Oreo Brownies which I MUST make for my egg-allergic hubby! One of the funniest moments of the trip is so silly but I had to share. We saw this poor guy wrapping these gifts in the lobby - and as he hopped around the corner for tape - I snapped a photo. One of the gifts was a fire extinguisher?! Bhahaha - who wraps that? What occasion is that a gift you give? And he was the worst wrapper ever! We were all just cracking up - and we all wanted to go help but he just didn't seem open to it. We also went to Holl's Chocolates - Phoebe took a great pic of their delicious chocolate covered strawberries - but they're really known for their truffles. If you stop into their shop - you can try a couple of truffles before you decide on which ones to buy. They also have wine tasting!! I came home with Key Lime Truffles - yum! They were the flavor of the month when we were there - it's Blueberry now - yum again! Next up started the history portion of our tour with a visit to Henderson Hall. The plantation is very pretty and the house has been historically cared for with lots of the original belongings inside. There's also a top floor little room that overlooks the property. The Henderson brothers were a major piece of history in dealing with the treasonous plots of Aaron Burr. By this point - we were starving - so we put history on the shelf to get some grub and went to the North End Tavern. They have their own brewery inside - to which I decided to try their homemade root beer. I got their Bratwurst ($4.50) and their prices are super reasonable and the staff was friendly - definitely a "Cheers" kind of place. My favorite things about lunch though were the onion rings and fries with homemade ranch! We ordered a couple of big sides of them and kept going back for more - I could have just had that for lunch! Homemade ranch is soooooo good! After some time at the hotel and a visit to a nearby park that overlooked the Ohio River - we headed back out for some more food. One of our guides wanted us to experience his favorite restaurant, Jimmy Colombo's. It's very old school Italian with celebrity photos adorning the walls and little pocket rooms for groups to enjoy together. Their garlic bread was yummy and I probably ate four pieces of it! After our meal, we all enjoyed their gelato - I got spumoni - so good! For my entree, I went for Rigatoni with meat sauce, meatballs and cheese - lots of cheese ($12.99). It was pretty standard - very Buca di Beppo except more authentic. Sunset along the Ohio River is beautiful - I captured this amazing shot and couldn't help but share it with the couple. Turned out they were on a mission trip and were getting married in a couple of months. They were thrilled by the photo and wanted to use it at their wedding!! 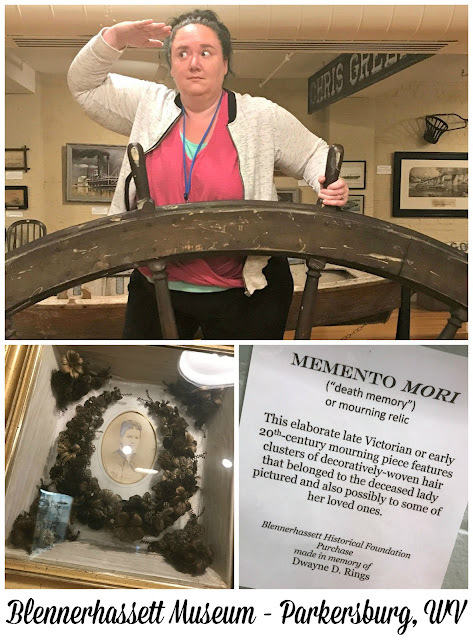 The next day was Blennerhassett Day - we started at the museum - which has some pieces of Blennerhassett history and then just a lot of Parkersburg history. There are also some just odd pieces like a giant ship wheel and art made out of human hair (it was something they did when someone died). 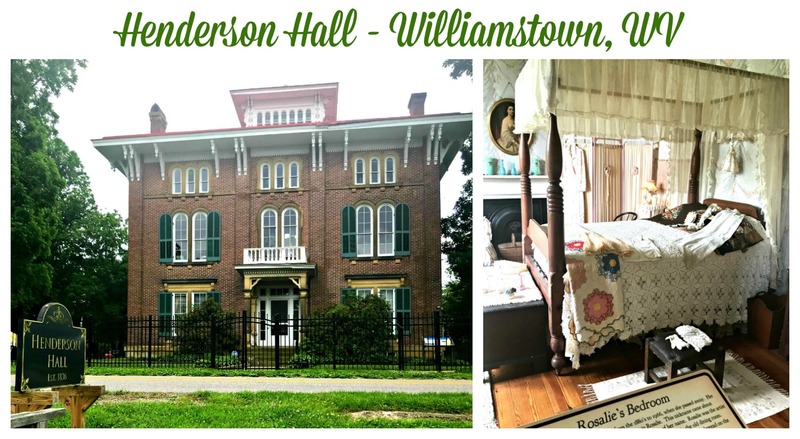 All in all - it's an interesting museum for an hour or so...the main thing to not miss is the short movie about the history of Blennerhassett Island! They show the movie downstairs and it gives you everything you need to know before you head to the island. Then we headed off to Blennerhassett Island. 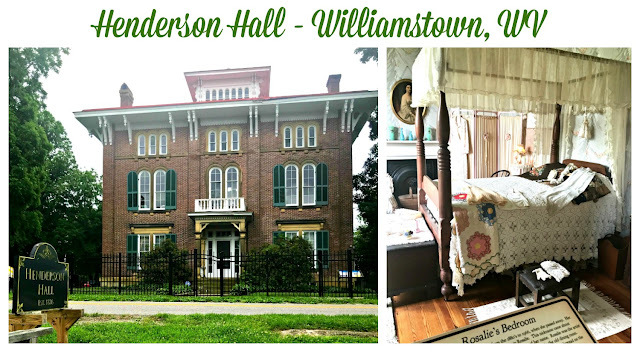 Short story is that the Blennerhassett's bought the island and built this home - then they aligned with Aaron Burr when he was trying to revolt against the US and screwed up their whole life - getting them chased out of the home and off the island. The home was destroyed in floods and such but they have rebuilt it and it's a pretty neat little day trip. The island is beautiful and there are quite a few activities to do on the island. 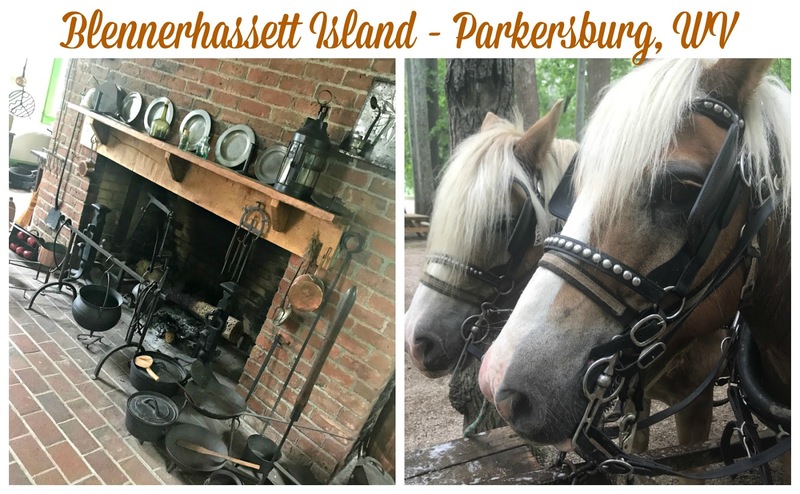 There's a ferry you can take to the island and then you can tour the home, watch Civil War re-enactors, shop in the gift shop and do a horse drawn wagon tour around the island and learn more of the story. The wagon tour was my favorite part as we had a great guide with beautiful horses. 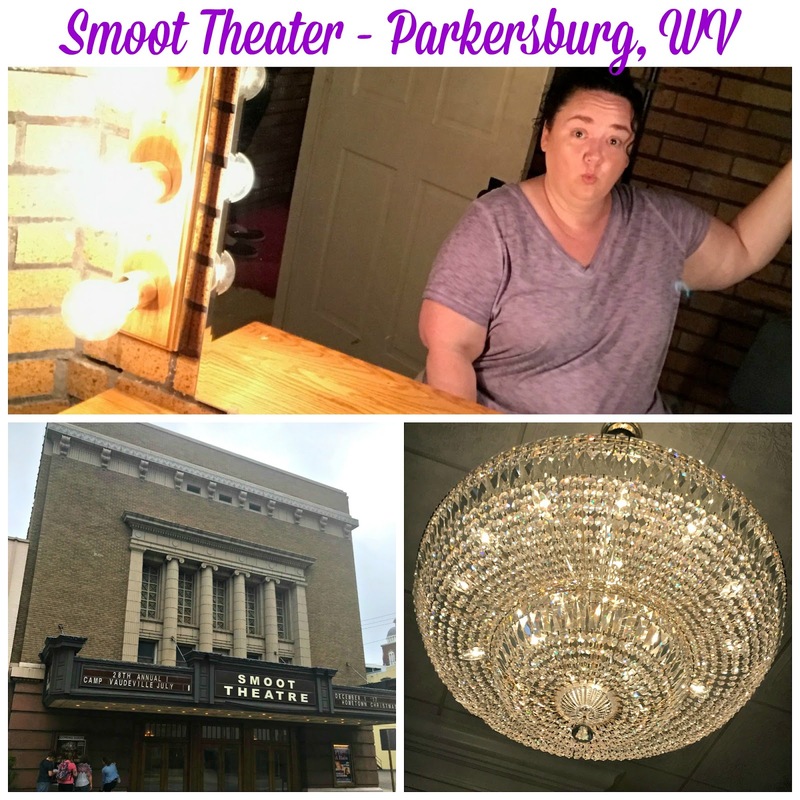 Back in Parkersburg, we also toured the Smoot Theater which has been brought back to life. It's an interesting tour because there are old photos of the building and the acts that used to play there. It's a beautiful piece of history that is being restored with the hard work of a small committee in town. 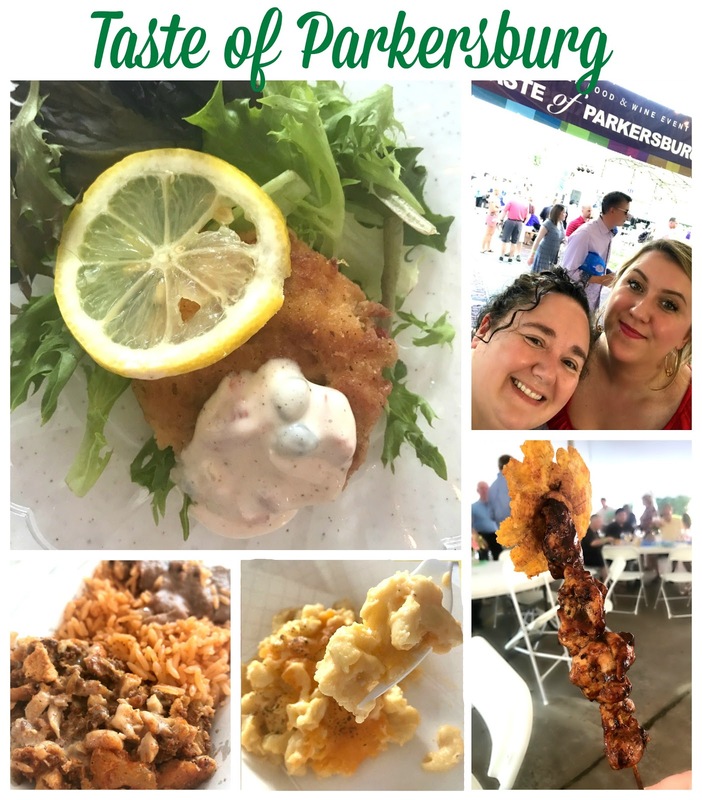 Next up was the Taste of Parkersburg - we got a wine glass for attending as well as a bunch of tickets to spend on libations and the variety of dining options. My favorite was the chicken skewer from Mango Latin Bistro. It was juicy and had a ton of latin flavor. There were also some dessert options - which is where I was spending my tickets - since I don't really drink. I found a coconut cream pie that was pleasantly calling my name! I was really impressed with the variety at the event. They had so many beer & wine options, great live music and a ton of food options as well. It was hoppin! 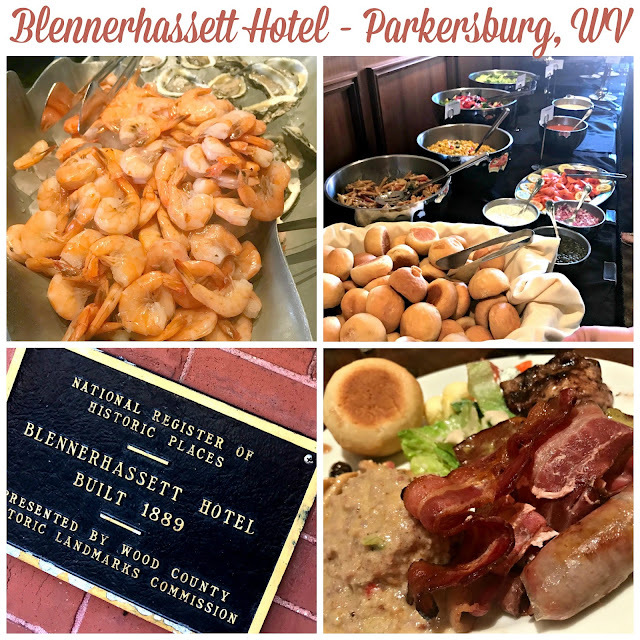 On our last morning we headed to the Blennerhassett Hotel for brunch and a tour. The brunch was great - there were two lines - one for breakfast items and one for lunch items - along with an omelet bar. We tried as much as we could! There was also a big dessert table. It's a very popular spot for brunch and a beautiful dining room - especially busy after that late night everybody had at Taste. We also did a tour of the hotel - which if I'm being frank - was a bit long. 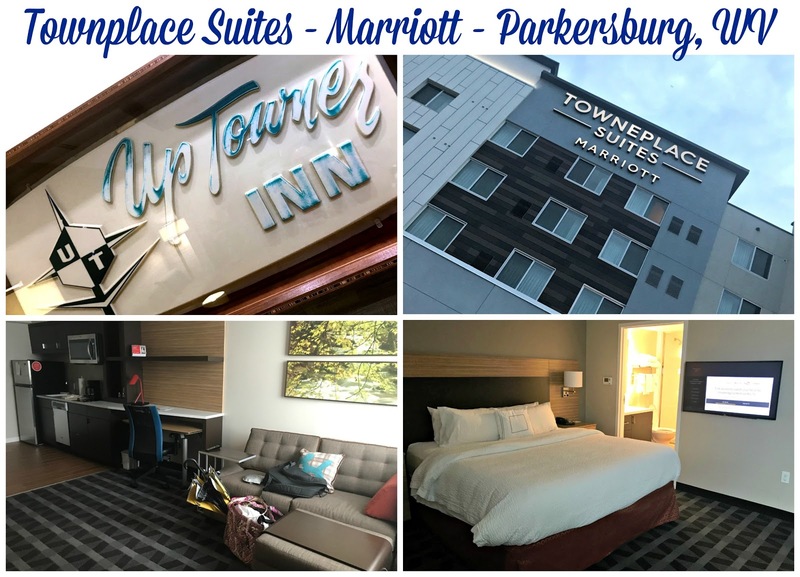 The hotel has been redone a lot so not a lot of it is original except the outside - but it's a very beautiful old hotel and was right next to the Taste of Parkersburg. 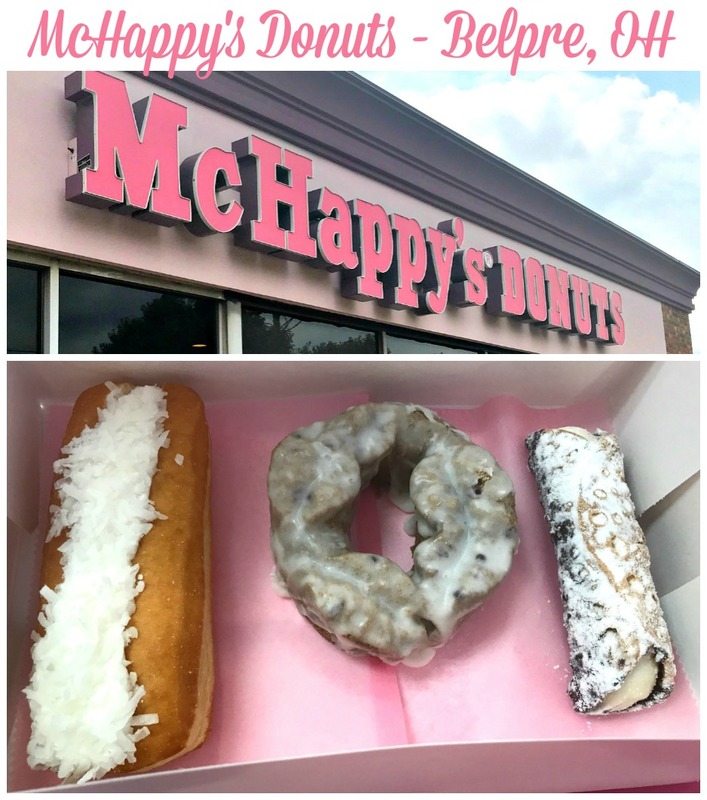 On our way out of town - we decided to hit up McHappy's Donuts. They have one in Parkersburg but we caught one nearby in Belpre, Ohio on our way back home. The donuts were good but the cannoli was great! I loved it as much as the one I got in NYC! 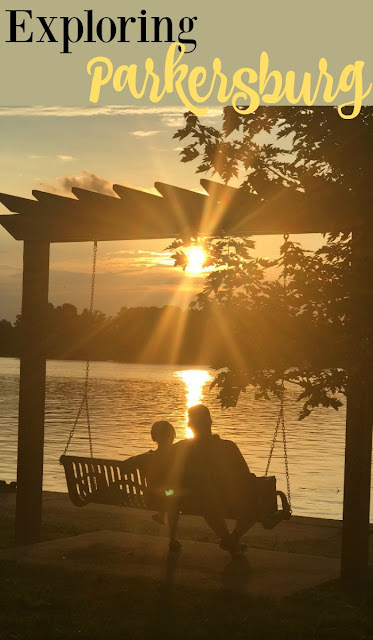 If you only have a day- my top recos would be: Blennerhassett Island, Mango Latin Bistro and McHappy's Donuts (for that cannoli!). Thanks again to the Parkersburg CVB for sharing their city with us!